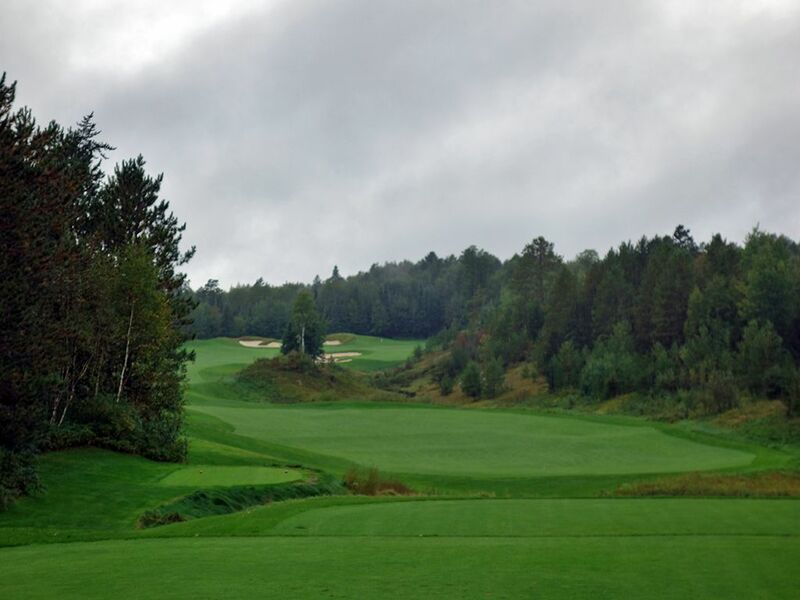 Course Website: Official Website - Visit Giants Ridge (The Quarry)'s official website by clicking on the link provided. 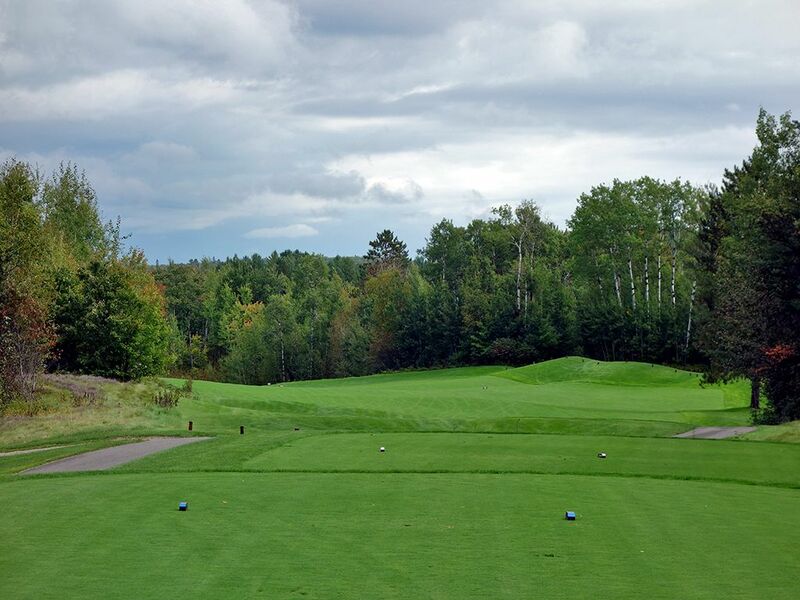 Accolades: Ranked 2nd in Minnesota on Golf Course Gurus' Best in State list. 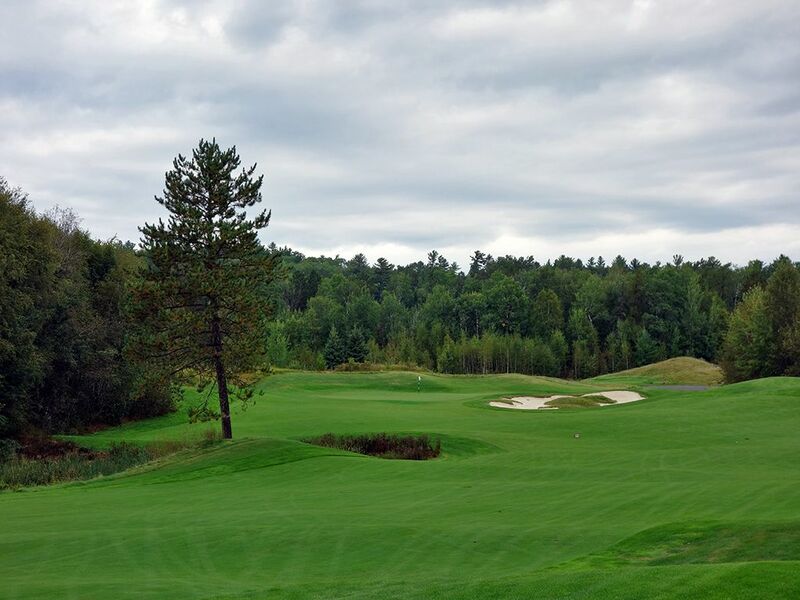 What to Expect: Located in northeast Minnesota, The Quarry at Giants Ridge is the premier public course in the Land of 10,000 Lakes. 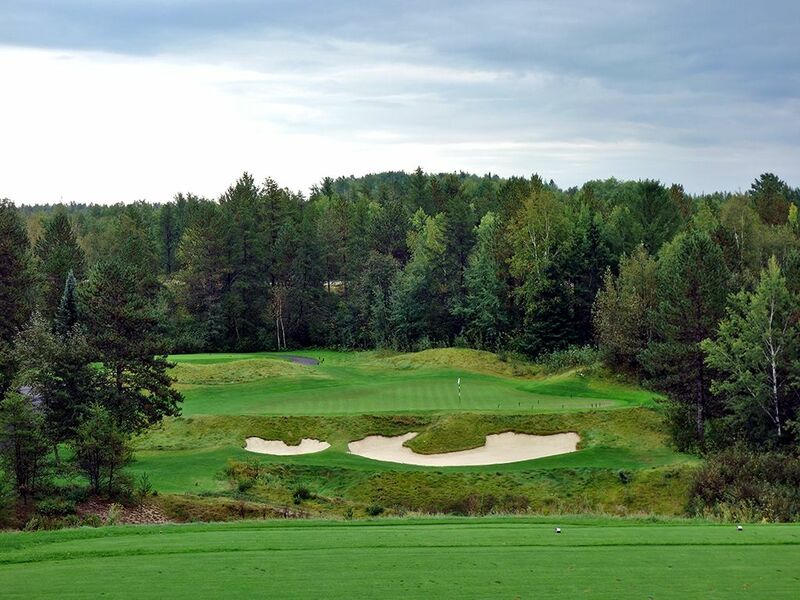 Built on a former sand and iron ore mining quarry site, the course enjoys unique movement in the terrain which lends itself to some engaging hole designs that you are sure to remember. Perhaps the best collection of holes are the par fives that enjoy an appealing mix of elevation changes and risk/reward opportunities, however the par threes finish a close second place with an appealing variety of lengths and design features. The huge elevation changes throughout the routing create some great views and fun opportunities to grip it and rip it off the tee; and who doesn’t like to do that? 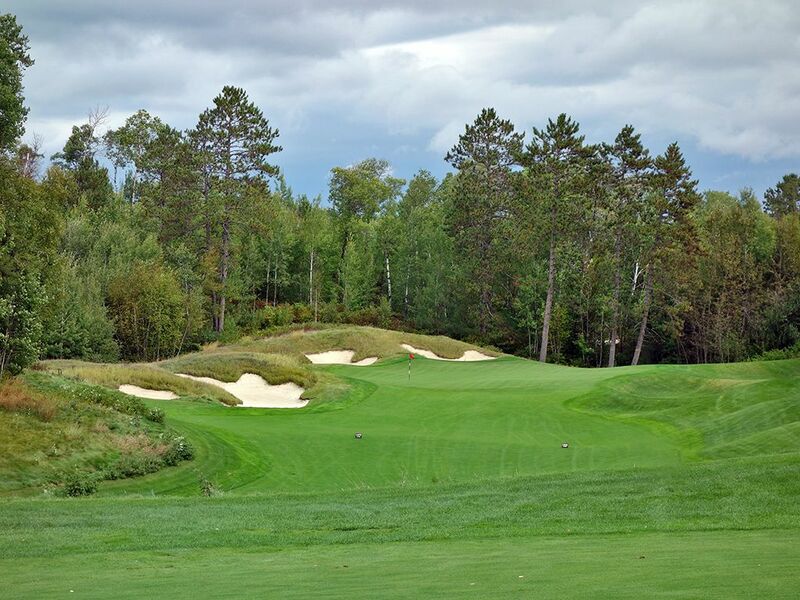 The contrasting colors between the fairways and rough combine with the colors and texturing of the other foliage and bunkers to create a visually appealing experience that also helps provide depth perception which is especially useful with the elevation changes. The first 16 holes are located on one side of the road with the final two located on the clubhouse side of the road. While the closing hole gives you a view of the lake, it is a bit anticlimactic in its approach as you climb uphill and then dogleg away from the lake and never enjoy the kind of commanding view you yearn for; though it is offered while enjoying a sandwich in the dining room. Carts are equipped with GPS and the extreme terrain will prevent everyone but mountain goats from trying to walk the course. 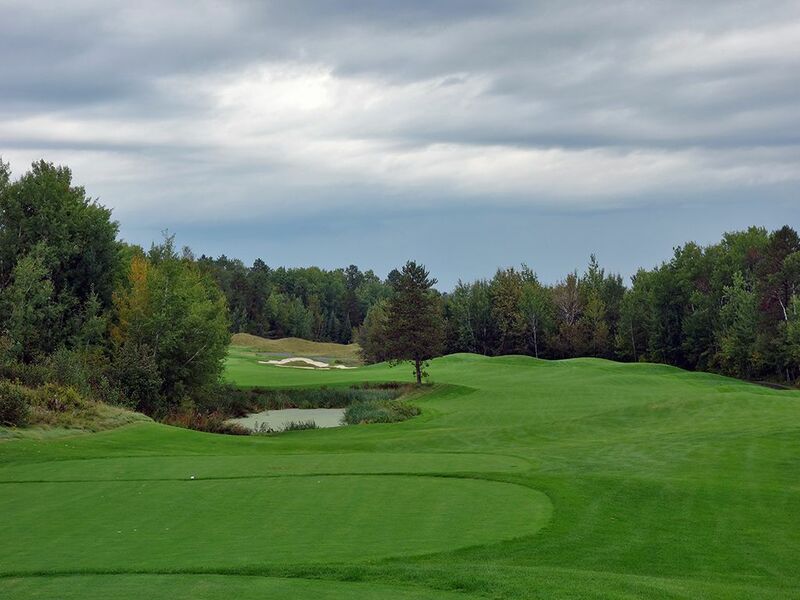 While The Legend at Giants Ridge offers a more traditional look and feel, The Quarry is the more compelling layout and experience that helps it be well worthy of its standing on many top 100 public golf course lists. If you’ve played Primland in Virginia, it is a similar style and exciting layout. 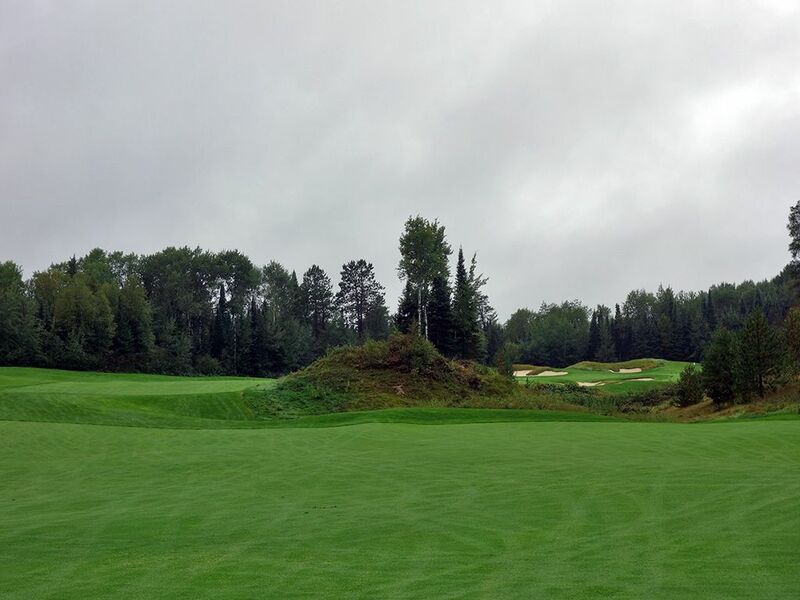 Signature Hole: 13th Hole – 323 Yard Par 4 – The signature hole for all of Northern Minnesota, the 13th at The Quarry at Giants Ridge is a sight to behold. 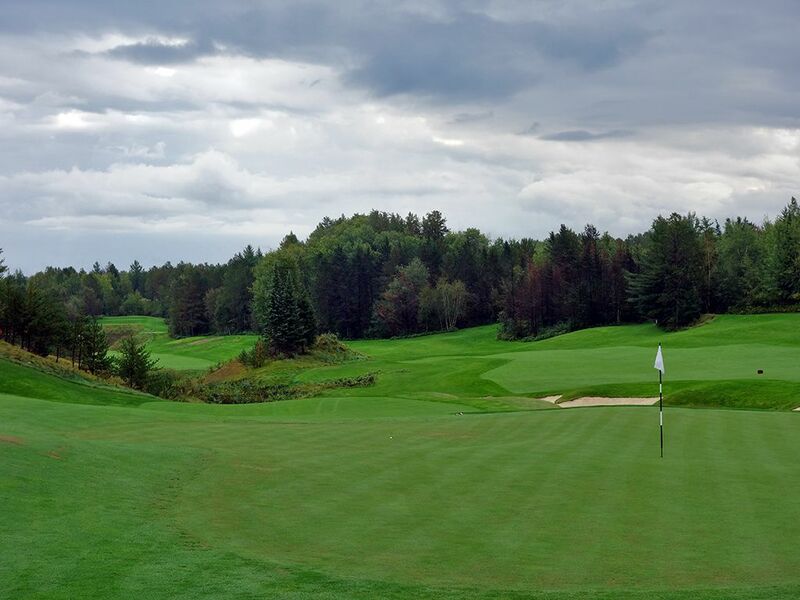 Tipped out at a distance that can be enjoyed by everyone, this short par four is not only attractive but represents a great scoring opportunity. Long ballers can take a rip at the green and will need to hit it 300 yards to carry the scruffy hillock fronting the right side of the green while going at the left side of the putting surface will require a longer carry to clear the trouble there. Players laying up should hit something less than 215 yards to stay short of the deep bunker carved in the center of the fairway. Going left of the center bunker lets the ball sit 10 feet higher than going to the right and will set up a more predictable shot heading into the green. This hole is a ton of fun in any type of competition and a highlight at a course stuffed full of great holes. 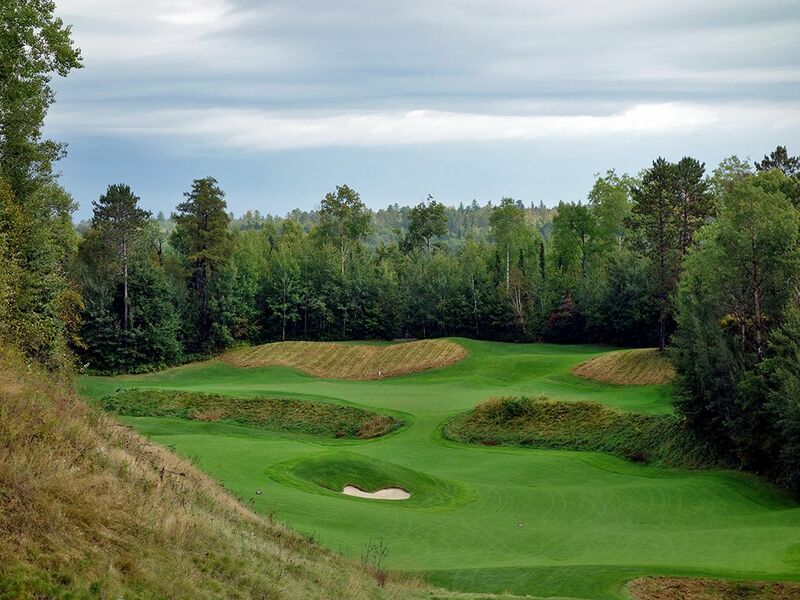 Best Par 3: 7th Hole – 189 Yards – A 30 foot drop from tee to green must be accounted for when selecting a club on this picturesque par three that plays over a chasm to a green fronted by a large horseshoe bunker and a smaller pot bunker. If you couldn't already tell, you want to be anywhere but short on this hole and going long will still give you a chance to hold the green or hit a small backstop to work the ball back into a desired position. The green is nearly three times wider across the front third compared to the back third, so if the pin is up front take dead aim at the flag knowing you have plenty of forgiveness to work with. Best Par 4: 15th Hole – 454 Yards – A strong par four that plays as a par five for women, the 15th will take a pair of quality shots to find the green in regulation. 275 yards is the max drive you can hit before the initial fairway terminates into a recessed junk area 20 feet below, so even in a best case scenario you are looking at a minimum of 190 yards into the green with your approach shot. The green complex features four bunkers, all of which are on the left half of the green with two up front and two in the rear. The undulated putting surface can be your best friend or worst enemy depending on how well you are able to utilize the rolls enroute to the day's pin location. You'll want to stay away from the fescue grass and bunkers on the left side so coming in from the right is the ideal attack on this green. 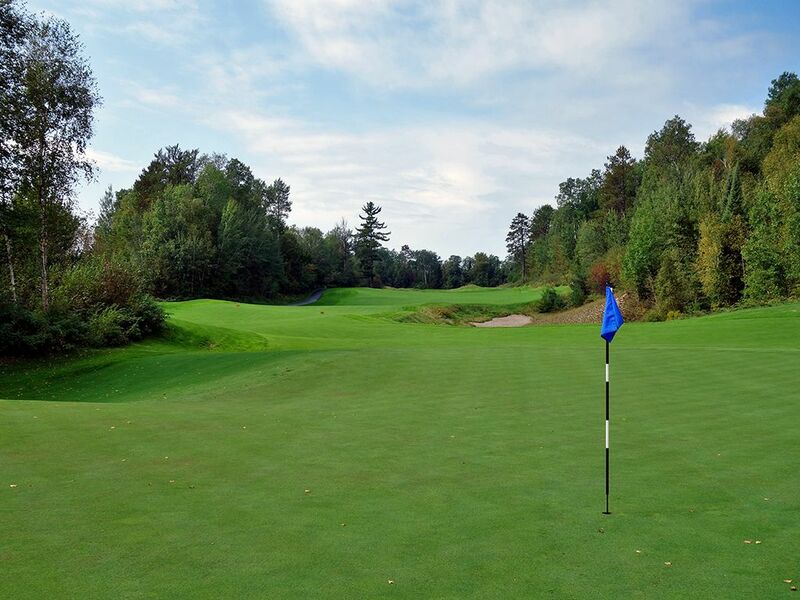 Best Par 5: 2nd Hole – 575 Yards – The Quarry is loaded with great par fives, in fact, I put stars on my scorecard of the best holes while playing a course and every par five got one. But alas, I can only feature one and the first three-shotter owns the distinction. 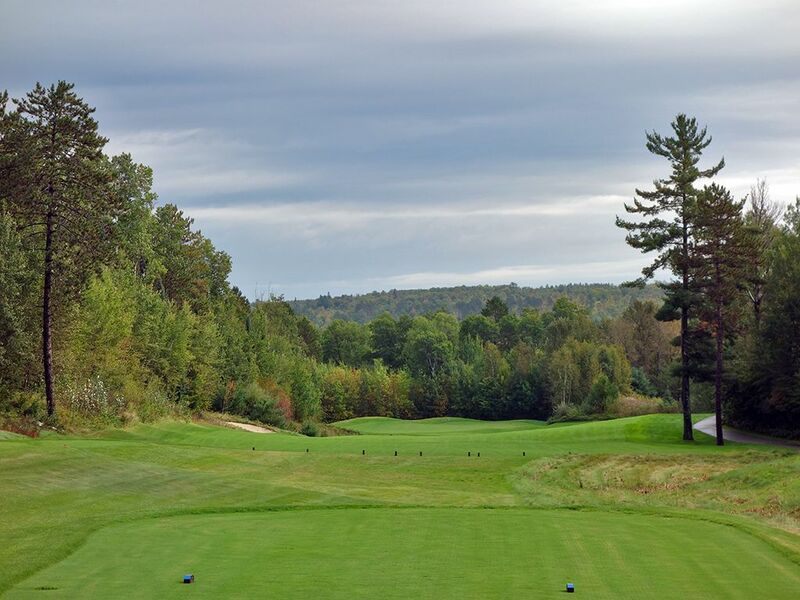 Two fairways are utilized enroute to the green on this hole that is highlighted by a group of trees soaring out of a hill covered in natural foliage halfway through the hole. You can play your tee shot 300 yards from the back tee before running out of fairway and encountering this menacing mound that you have to decide how to get around. The safe play is to the left where the second fairway comes into play while the aggressive player will go to the right of the tree covered mound on a direct line to the green but will require over 200 yards of carry to reach safe grass again. A 50 yard long bunker slithers in from the right and terminates short of the green and can present a very challenging place to get up and down from if you find yourself there. Though the tee is elevated for the opening shot, you'll be playing back uphill the rest of the way home so take that into account when playing your approach shots. Birdie Time: 10th Hole – 362 Yard Par 4 – The back nine starts with a great birdie opportunity that will reward the player that is willing to take on a challenge. This short par four features a late turn to the left which can be cheated if you bomb a 250+ yard drive over the water protecting the left side of the hole. Successfully flying this hazard will leave a short chip into the green with an angle that takes the large bunker right of the green out of play. The green is very receptive from a variety of locations so feel free to go pinseeking and hit your second shot tight. Bogey Beware: 12th Hole – 486 Yard Par 4 – Players can be suckered in with a grip it and rip it moment on the downhill 12th that begs players to try and bomb it as far as they can. What players don't often realize is a large waste bunker exists up the left side and is ready to gobble up tee shots that don't stay on line when the fairway's width gets cut in half 300 yards from the back tee. The lengthy approach shot plays to a green that runs away from the player and can be difficult to judge how much rollout to play for. I really like this hole and it is the first of a fantastic six hole stretch, so if you can hold on for a par here it will give you great momentum heading into the next holes that offer better scoring opportunities.